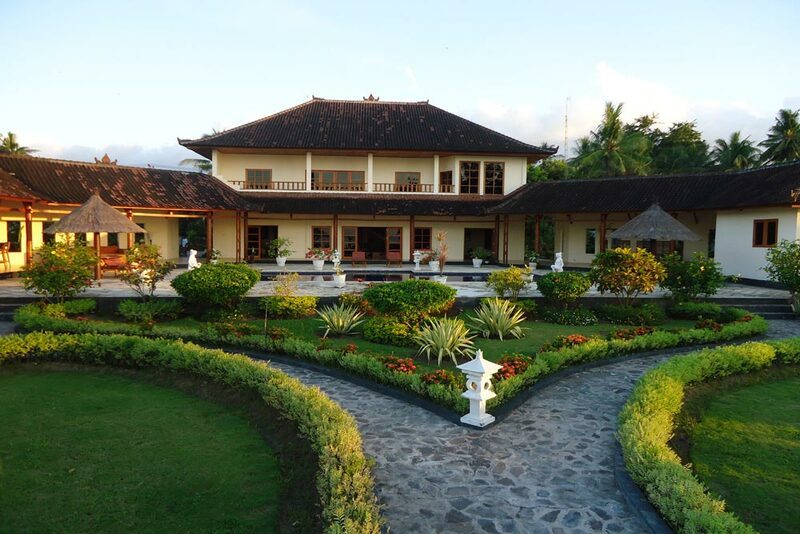 A Spectacular and imposing two-storey villa in North Bali, spread over 30 are (3000 m²) of absolute beachfront land and planted out with a myriad of tropical flowers and fruits. The site comprises 17 m x 10 m x 2 storey (340 m²) + dining and relaxation wings (160 m²) = total 500 m² accommodation. Upstairs, a master suite with 4-poster super king bed, double rainfall shower and large lockable dressing room. An expansive living room with wide balconies facing sea and mountains leads down to a further lounge and three more guest bedrooms (two having private outdoor showers), Double French doors open to the 15 x 6 m pool. Two wings spread out from either side of the villa, one comprising a kitchen with granite bench tops and alfresco dining area, the other sheltering the bar/drinks pantry/pool toilet and outdoor lounge. There is a separate laundry room. A newly built spacious garage for motorbikes and 1 car. 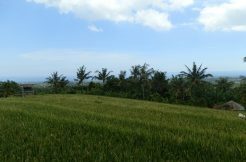 The bale bengong sits a few footsteps from the private beach access and offers spectacular sea and Bali coastline view. Located approx. 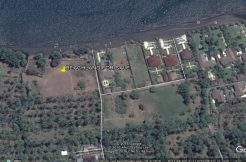 10 km west of Seririt, the villa is walled-in and gated and one of 6 in a private villa estate with security station, private access road and only 500 m from the main coast road. 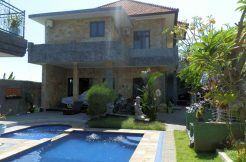 All titles and access secure and issued – for sale freehold (hak milik title) 4.975.000.000 IDR or 350.000 Euro! Please watch our stunning bird view drone video of this property!